Unite is calling for an immediate crackdown on a loophole being operated by unscrupulous employment agencies and umbrella companies, which results in workers having the apprentice levy deducted from their wages and could result in these organisations generating a profit from these dubious payments. 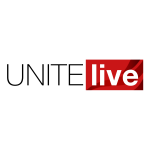 Unite has received a growing number of payslips from workers in different sectors including construction, which show that employment agencies and umbrella companies are deducting the apprentice levy from workers’ pay. The apprentice levy was introduced last year and companies with a payroll of over £3m are expected to pay 0.5 per cent of the payroll costs to the HMRC; this money is then earmarked for apprentice training. Although highly immoral to pass this cost on to the worker, it is not illegal provided the worker has agreed to the deduction. In reality although workers will be unhappy about having the levy removed them their wages, most sign up in order not to lose the work they have been offered. However the double whammy is that if an agency or umbrella company charges their entire workforce the apprentice levy they will in fact be making an additional profit, as they don’t pay the levy on their first £3m of payroll. “The most unscrupulous umbrella companies and agencies are deliberately undermining the apprentice levy by forcing workers to pay something which is supposed to be their responsibility,” said Unite assistant general secretary Gail Cartmail. “In a double whammy not only are these companies offsetting what they should be paying they are potentially making a profit and lining their pockets through making deductions on the levy. “The government must immediately look at this scam and introduce measures to prevent workers from being charged in this way.